Positioned on East side of the Atlantic Ocean, Senegal surrounds its much smaller neighbor, Gambia, and borders Guinea, Mali, and Mauritania. It has a population of over 15.4 million (2016) and about a quarter of it is concentrated around the capital of Dakar, and up to half in other urban areas. 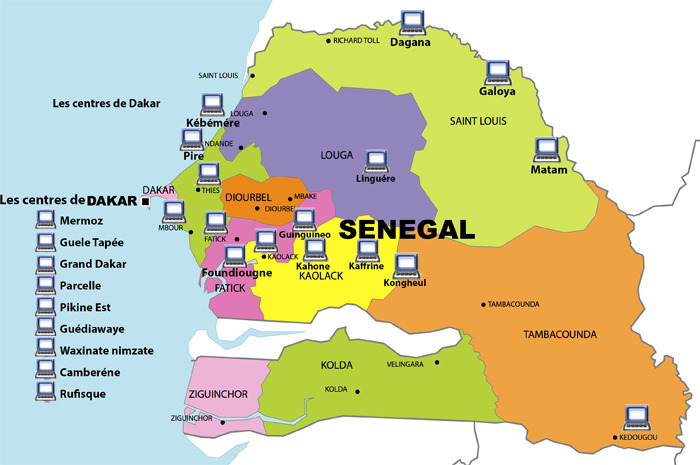 Senegal is also one of the most stable countries in Africa, it has had three major political transitions, each of them peaceful, since its independence from France in 1960. Despite its stability and democracy Senegal is one of the least developed countries in the world with an economy which is relying greatly on crops and fishing and therefore too linked to climate change. Harvest deficits in 2014 and 2015, generated by recurring droughts and floods had severely weakened food security in northern and central Senegal. This situation has contributed to the weak socio-economic condition of the country that still suffers from high poverty rates with the 46.7% of the population living in poverty. In order to tackle this issue, it’s clear that what needs to be reinforced is clearly the availability of specific infrastructures together with those skills that are more relevant for the labor market. Therefore, the ST Foundation decided to initiate its activity in the country beginning a collaboration in 2008 with its first local partner the ANPEJ (National Agency for Youth Employment). Considering the good results brought by this cooperation it was decided in 2013 to initiate a new experience with a second organization: the CNID (National Center for Youth Information and Documentation). The conventions signed with both partners ended at the beginning of 2018, but nevertheless the Foundation decided to stay active in the country. 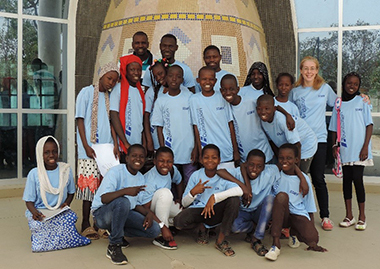 At present with the end of the former collaborations the Foundation is working locally with the precious support of a Senegalese NGO: Concept. Its mission is the promotion of local development through different levers, among which education is for sure considered a priority. With its support the Foundation is currently running 26 centers in 24 cities and it’s replying to the lack of infrastructures present in the country. At the arrival of the program in these areas ICT tools and the related competences were practically nonexistent. And the training activities offered made the difference in the educational paths of many Senegalese that, after the courses attended, were able to find jobs related to informatics. The positive trend of the activities has been confirmed also in 2018 with an increase of the beneficiaries reached comparing previous years. 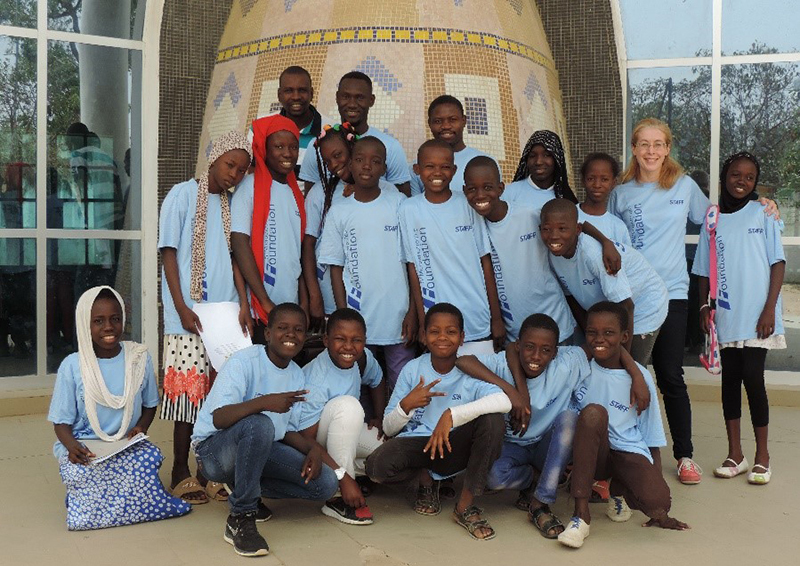 This encouraging situation has convinced the Foundation to further invest in the country in 2018 and Senegal was the first area in Sub-Saharan Africa where the T4K course was deployed in March. The project has trained over 79,000 beneficiaries throughout the country as of September 2018 in the locations detailed in the map.